Commercial Property Data Intelligence | HARNESS Local Area Guide for Manchester. Two top flight football clubs, four universities, the UK’s third busiest airport and a proudly multicultural society; Manchester is a city enjoying a period of healthy and sustained growth. In turn, the Manchester commercial property market goes from strength to strength. With 540,000 residents, Manchester (also considered to be the UK’s Second City) is the 5th most densely populated city in the United Kingdom. 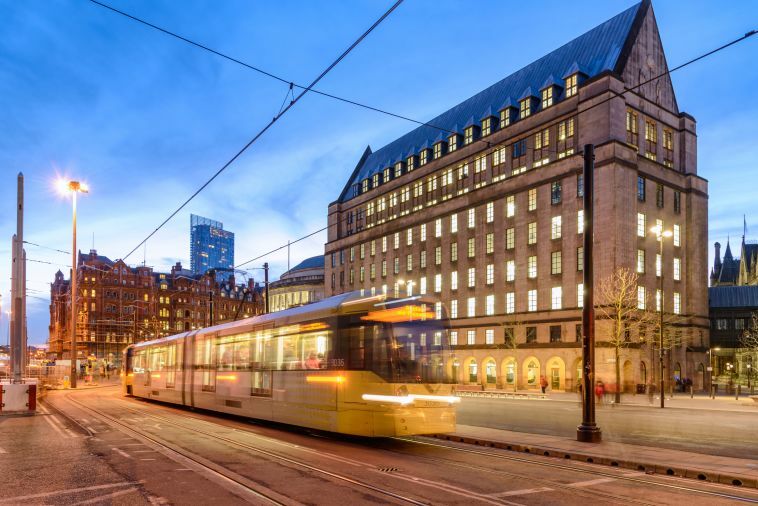 Manchester has a rich and robust cultural history, one which resonates at home and abroad and has helped make the city a popular destination for visitors, investors and settlers alike. In 2016, it was the second most visited UK city by domestic visitors and third most visited by foreign visitors. Especially popular in the East Asia, thanks largely to Manchester United’s presence in that part of the world, Manchester is proudly home to the third largest Chinese population in Europe. The Manchester that we recognise today began to take shape during the Industrial Revolution when the city became a key contributor to the county’s economy, leading the way in the cotton and textile industries. In 1996, the city endured an IRA terror attack when a bomb destroyed much of Corporation Street, at the heart of the city. The attack was the catalyst for a major rejuvenation of the city centre, an investment which has helped Manchester become a major hub for 21st Century business and innovation. In recent times, Manchester has been the main focus of the government's Northern Powerhouse proposal, the concentrated effort to share London’s economic wealth with the rest of the country. The BBC moved much of their operation to nearby Salford in 2010 and many other major companies, including Google and The Co-Operative have offices in the city. While the city’s industrial manufacturing heritage has largely come to pass, it has been replaced by the digital and tech industries. Manchester is now third most active tech city in the UK and rising. Add in the imminent arrival of the High Speed 2 railway and the future looks very promising for Manchester. The BBC moved much of their operation to nearby Salford in 2010 and many other major companies, including Google and The Co-Operative have offices in the city. 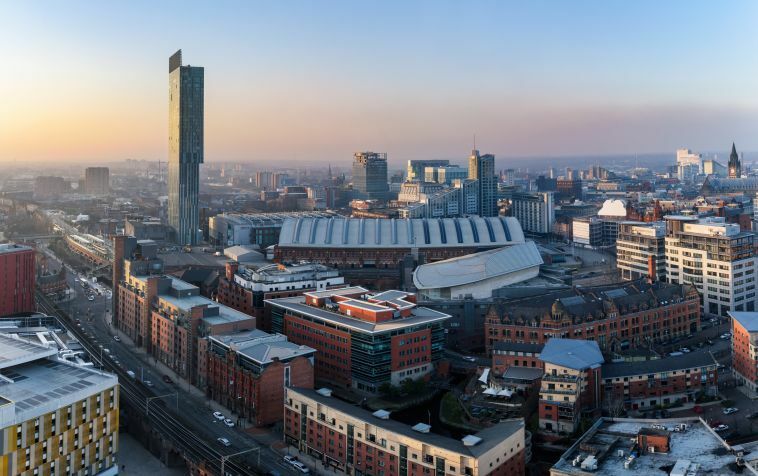 Manchester has a strong and steadily growing economy. In 2016, the city’s economy grew by 2.9% - well above the national average of 1.8%.Although a lot of businesses were forced to close during the economic downturn that began in 2008, Manchester has also created more new businesses than anywhere else in the UK; 79 new businesses for every 10,000 people - 50% higher than the national average. Much of this growth is down to UK’s increased focus on the technology industry. Manchester is playing a large part in that and it is estimated that the industry will create 4,000 jobs in Manchester over the next 10 years. It currently accounts for 12% of the city’s employment. Other leading industries in Manchester include Health & Social Care (14%), Retail (12%), and Education (11%). 68.2% of Manchester’s population are classified as being Economically Active, around 10% below the national average. Manchester has a strong and steadily growing economy. In 2016, the city’s economy grew by 2.9% - well above the national average of 1.8%. 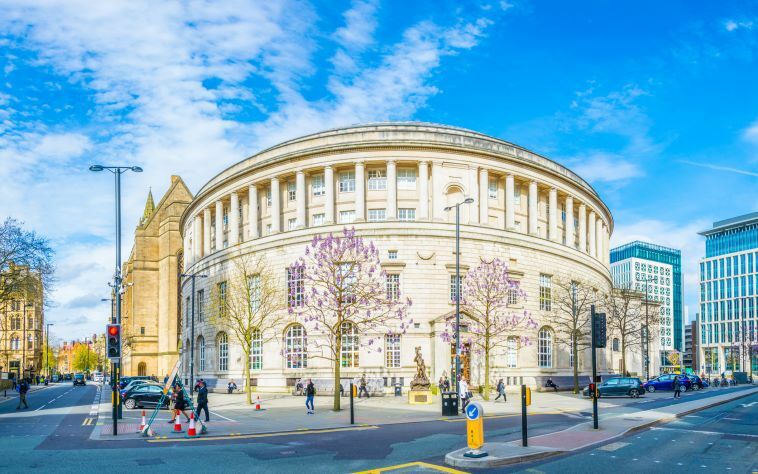 There are 100,000 students in Manchester which makes education an incredibly lucrative industry for the city and a great attraction to investors. Manchester’s commercial property market is a very healthy one and in 2015, the city was the most popular UK destination outside of London for foreign direct investment (FDI) projects. £3 billion worth of major property developments are in the pipeline, including at St John’s, Old Granada Studios, Mayfield, NOMA and Kampus. Office space makes up 89% of Manchester’s commercial market with an average price of £31 per square foot. It is the UK’s largest office market outside of London and between 2010 and 2014, the quarterly uptake was 250,000 square feet. In 2016, take-up reached 1.3m sq ft, almost 70% of which were signed post-referendum, excellent proof of Manchester’s resilience in this time of uncertainty for the UK economy. One significant example of post-Brexit investment is Deka Immobilien’s acquisition of One St Peter’s Square for £164 million. It is predicted that, over the next 5 years, Manchester will see faster office based employment growth than all of the UK’s cities, including the capital. the national average of 1.8%. Some particularly interesting to is that fact that, in 2016, the refurbishments market made up 62% of the total take-up of office space. This is a priority sector in Manchester thanks to its vast array of large, historic industrial architecture. Grade A rents have remained steady over the last 12 months at circa £34 per sq ft. Rental pressure continues to develop on good quality refurbished space across the city. Manchester is a city that is working hard to maintain and promote a healthy retail market, especially in the city centre. 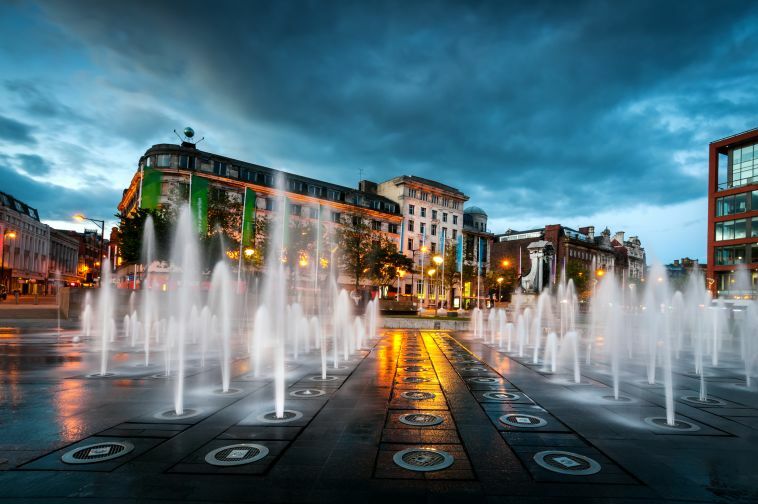 The city’s Business Improvement District (BID) has developed a community of 400 retailers who, alongside the city’s transport, council and services, are working to ensure the ongoing success of Manchester’s retail heart. Although retail only makes up 6% of the commercial market, Manchester retail remains resilient and is even showing signs of growth. Footfall on Manchester’s streets has risen by 4.8% is the past 5 years, while the UK average is down 1.3%. The result of this is 40 million visitors to Manchester’s retail district every year, spending over £900 million. The average price for retail units to rent in Manchester is £35 per square foot. Although the city has a rich industrial heritage, in recent years this has been replaced by a focus on digital tech industries. As such, the demand for industrial space is much is relatively low, accounting for just 3% of Manchester’s rental market. Because of the city’s increasing influence on the global tech industry, Manchester is seeing the arrival of more and more new startup businesses, hoping to find sustained success in the city. As such, there is great demand for co-working space and serviced offices in Manchester and many well known companies are arriving to fill the demand. Here is a brief overview of what the city has to offer. The U.S co-working giant has just recently announced that they’re set to open a space at No.1 Spinningfields on Quay Street, at the heart of the ever popular Northern Quarter. WeWork facilities are excellent as standard, including free meeting you room hire, free beer on-tap and a state-of-the-art digital infrastructure. A superb space that caters specifically to startups and individuals working in the digital and tech spheres. At the heart of the Northern Quarter, SPX hopes to nurture their clients to great success. It’s a co-working space for the people of Manchester, run by the people of Manchester. The space also plays regular host to some of the country’s best and most prestigious events, discussions and socials. Based in a Grade-II listed building on Deansgate, Central Working includes a state-of-the-art lecture theatre, offices for 4-6 people and promotes a bohemian, open and collaborative environment in which new business can thrive and grow. Manchester Digital Laboratory (MadLab) is a non-profit, state-of-the-art organisation providing advice and support to entrepreneurs and startups working in the fields of science, innovation, technology, culture, and arts. Based in a 3000 square foot Industrial Revolution-era former weavers’ cottage, centrally located in Manchester’s Northern Quarter, MadLab offers all of its tenants access to its industry leading events and guidance. One step up from co-working, serviced offices in Manchester offer a nice hybrid between permanence and flexibility. Here are a couple of examples of Manchester’s serviced offices, where flexible, short-term leases pair perfectly with high-end facilities and fully furnished private space. With an on-site gym, superfast broadband, a splendid business lounge and superbly equipped offices, The Offices is found at the heart of the city centre. Individualistic and truly unique, The Offices provides work space with a difference where each room is different and guaranteed to impress. Strategically located across three of Manchester’s most sought after and convenient locations, Orega’s serviced offices are cutting edge and ideally suited to businesses of any size. Piccadilly, MediaCity and King Street; prestigious locations are just the tip of the iceberg for these serviced offices that go above and beyond. Manchester is serviced by superb transport links across the entire city. £1.85 billion has been allocated to transport improvements over the next five years, including a radical transformation of Manchester Airport. Manchester is served by two mainline rail stations, Manchester Victoria and Manchester Piccadilly. The city is also a planned stop on the new High Speed 2 railway, with a 12km tunnel being dug under the city in order to improve connections between Manchester Piccadilly, London and Birmingham. 93 stations and seven lines make up Manchester’s 57 mile metrolink network.. The Manchester Metro is also slated for a £1.5 billion expansion, including a new line to The Trafford Centre, due to open in 2020. Manchester Airport is the third busiest in the UK and the largest outside of Greater London. The airport serves more destinations around the world than any other in the UK. It is also one of only a few airports in the world which are eligible to service elite aircraft such as the Airbus A380 and Boeing 747-8. Manchester has some of the most varied demographics in the UK. A city of contrasts, it includes some of UK’s most and least affluent areas. The ethnic composition of the city in also very varied. The 2011 census showed that 66.7% of the population was White, 17.1% Asian, 8.6% Black, and 1.9% Arab.least affluent areas. There are 4 universities in Manchester, educating around 99,000 students. Thanks to the large student population, Manchester is proudly multicultural. The city is particularly popular with Chinese students, the large numbers of whom contribute to Manchester having the third largest Chinese population in Europe. Manchester’s musical heritage continues to influence the city and its people to this day. Artists like Oasis, 10cc, New Order, The Fall and The Buzzcocks all hail from the city and are a great source of local pride as well as a great ambassador for Manchester’s overseas reputation and relationships. Manchester Arena is a world leading entertainment centre, attracting music and sports fans from around the country. With a capacity of 21,000, it is the largest of its kind in Europe. Manchester boasts two symphony orchestras, the BBC Philharmonic and The Hallé, both of which perform out of Bridgewater Hall, a state of the art performance venue hosting 250 performance a year. Musical education is also big business in the city and surrounding areas; Salford University’s music courses are considered some of the best in the UK, and the Royal Northern College of Music has a heritage stretching back to 1893. For many people around the world, Manchester is the most important football city in the country. Manchester United and Manchester City play out of Old Trafford and Etihad Stadium respectively. Old Trafford Football Ground is also in Manchester and is the oldest and most highly regarded in the country. As is the case across the nation, Manchester is witnessing a notable drop in homeownership and a subsequent boom in the rental market. In 2003, 72% of households were owned by the occupants; by 2016 that number had fallen by 14%, a rate twice that of the national average. The population of the city centre is 50,000, a 20,000 rise over the past 10 years, and there are currently more than 10,000 new central apartments in development. Various factors are playing a part in this shift, the main two being rising house prices making ownership unattainable, and an increasingly transient lifestyle being adopted by the population. Buying property is not seen as much of a priority as it used to be, especially for Millennials and the incoming Generation Z.